Under the direction of the DNS & ADNS, administers and documents medications and treatments per physician’s orders, assists nursing assistants with care as necessary and provides clinical supervision., follows established standards of nursing practices, helps implement facility policies and assessment and care plans. In the absence of Nurse Manager, assumes charge of the nursing unit. Note: The above stated duties are intended to outline those functions typically performed by individuals assigned this job description. This description of duties is not intended to be all inclusive or to li,it the discretionary authority of supervisors to assign other tasks of a similar nature or level of responsibility. I,__________________________, have reviewed these job requirements and verify that I can perform the essential functions of this role. 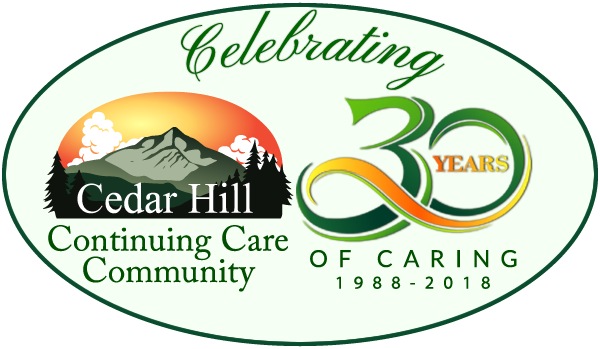 I agree that if I do not comply with the State of Vermont mandated safety and infection control practices as required by my job description, I am subject to a day’s suspension without pay and that any subsequent violations may result in termination of my employment with Cedar Hill Continuing Care Community.